Why Has Catalonia’s Independence Movement Lost Steam? 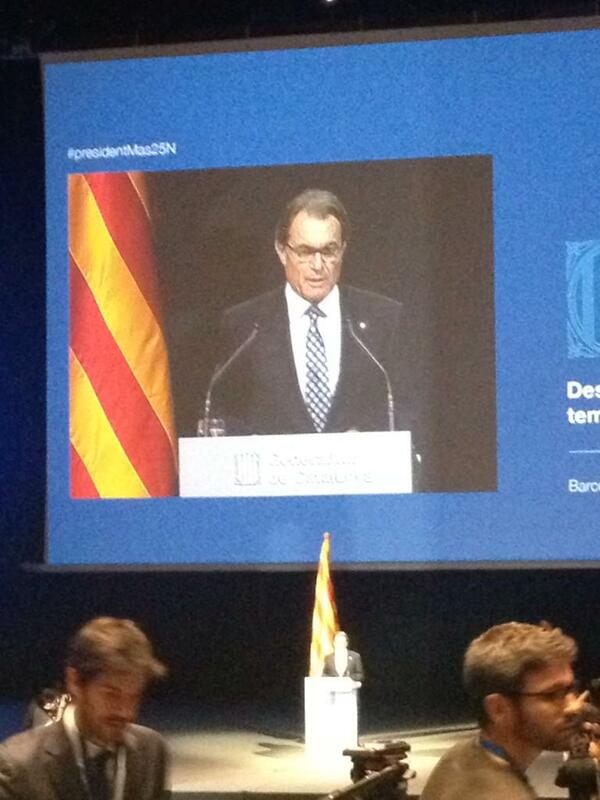 Catalan President Artur Mas gave a major speech tonight, which fortunately Liz Castro live-translated on Twitter. 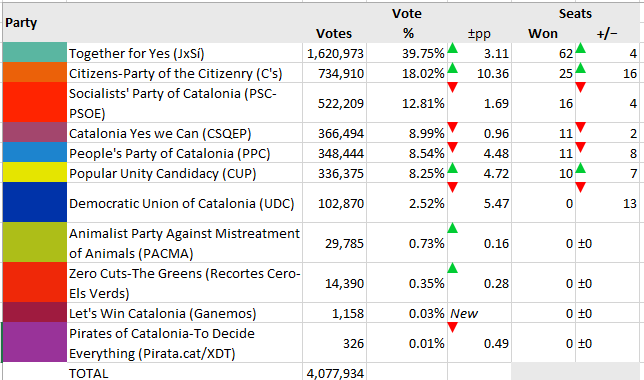 To review, here’s where we are now: Catalonia held an informal plebiscite on independence on November 9, which the Constitutional Court had suspended, and 81% of voters supported independence. The Spanish state has refused to negotiate any constitutional revision that would permit a binding referendum on independence, and the state prosecutor has filed criminal charges against Artur Mas and two other cabinet ministers for going ahead with an informal poll. And a new poll (not from CEO, the Catalan government pollster) shows significant majority support for independence among those with an opinion, including support for a unilateral declaration of independence if independentists win the next election. Since Spain has closed off all legal means to secession, the Catalans are now looking at extralegal means. In tonight’s address, President Mas endorsed “plebiscitary elections” to the Catalan Parliament (previously discussed here). A unified pro-independence list would run in early elections, and if and only if that list obtained a majority of votes and seats, the new Catalan Parliament would declare its intention to secede. Within 18 months, it would set up the institutions of a new state and set the framework for elections to a constituent assembly that would draft a new constitution and declare independence. Anyone who runs on the unified list in the next election would be ineligible to run for the constituent assembly in the subsequent election. Mas himself says he will step down from Parliament at the end of the 18-month term if the plebiscitary election yields a pro-independence majority. The unified pro-independence list would include members of all pro-independence parties as well as pro-independence members of civil society. Interestingly, Mas’ own party, a federation of a pro-independence party and a much smaller pro-federalism party, looks set to break apart now. The Catalan Republican Left (ERC), the second-largest party in Parliament, wants early elections now and an immediate declaration of independence if secessionists win a majority in that election. They have not ruled out participating in a unified list, however. A small, hard-left, secessionist party, CUP, has ruled out participating in such a list.